The word “chi” means life force in Chinese. While there are now many different types of tai chi, all focus on optimizing the movement of life energy in the body. In less metaphysical terms, learning tai chi can improve your joint movement, ease pain and decrease stress. 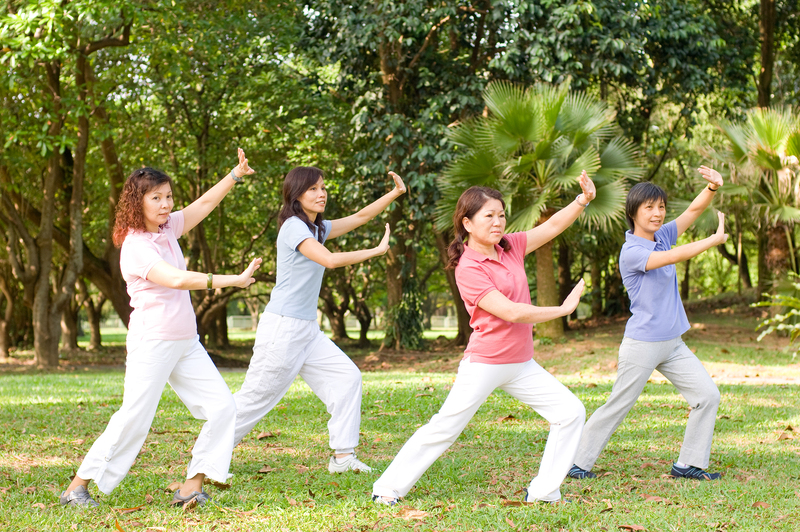 Because tai chi is a slow, low-impact activity, many people with joint pain can safely do it. In a typical class, you might see students who are 80 or 90 years old. Many anecdotal accounts testify that tai chi relieves arthritic pain in joints, and the Mayo Clinic agrees that some evidence suggests tai chi can reduce joint pain. One study published in a 2009 issue of Arthritis Care & Research showed that tai chi improved pain and disability for patients with arthritis. In addition to improving musculoskeletal function, tai chi has many other benefits. Tai chi includes complex big and small movements, with arms moving in different directions while transitioning weight from foot to foot. This helps students improve balance. According to the Mayo Clinic, other benefits include increased aerobic capacity, stamina, flexibility, agility and muscle strength as well as decreased anxiety and stress. Many people like the meditative aspect of tai chi. While plenty of books and videos explain tai chi, it’s best to learn from an experienced teacher. A teacher gives you feedback you won’t get from a video. This way, you’ll learn proper technique and maximize your health benefits. Many community centers and fitness clubs offer tai chi lessons. Be sure to start with a beginning class, and alert the teacher to your physical condition and limitations. More advanced practitioners can do tai chi on their own. However, people often enjoy the social benefits of practicing with a group. Many chiropractic patients can safely do tai chi. Talk to your chiropractor about how this ancient form of moving meditation can improve your health.